Keep Informed with Insider News! 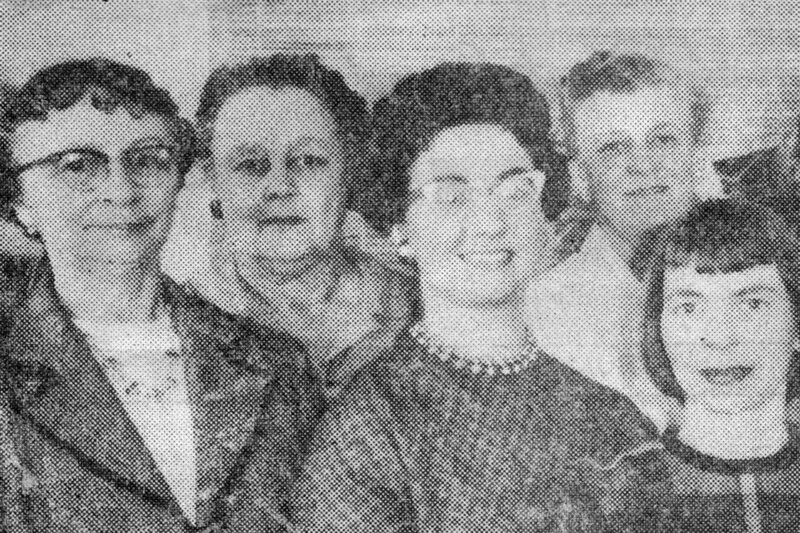 Four members of Bainbridge Arts & Crafts' Board of Trustees, elected in 1960, including the founding member, Pauli Dennis, pictured at far left. In January 1948, a news item in the Bainbridge Island Review invited interested adults to attend a meeting at the home of Mr. and Mrs. James Hodges. The purpose of the meeting? To discuss the formation of a nonprofit to "provide creative activity for the Bainbridge Island community." Today, we are still that nonprofit, and so much more. The Art Project is a nonprofit gallery that brings free art education and outreach to communities across Kitsap County. In fact, we are one of the region’s largest nonprofit galleries, supporting the livelihood of more than 200 Northwest artists while serving close to 10,000 youth, adults, and seniors each year through more than 100 free programs—inside and outside of the gallery space. The Art Project is all about community, positive impact, and yes, fun! There are many ways to get involved and receive all sorts of benefits, both tangible and intangible. Shop at our gallery, join us for artist talks and demonstrations, take a class, donate, volunteer, become a member. We invite you to make The Art Project yours—to make art your own. In The Art Project’s spacious, newly remodeled gallery, we’re proud to showcase fine contemporary works of art in a wide variety of mediums and price points. Every day you’ll find paintings, prints, glass, ceramics, jewelry, sculpture, and so much more—all created by professional Northwest artists. Also join us for new special exhibitions every month, with a free public artists’ reception every first Friday. Please stop by or call us for more information.